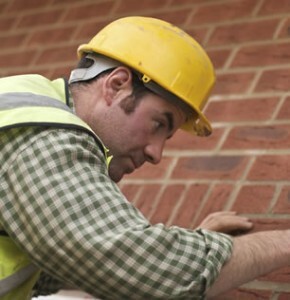 According to a recent survey regarding public fears over rogue builders, 32 per cent of the 2,000 people surveyed claimed they were not pressing ahead with building work because of concerns about “dodgy” tradespeople. 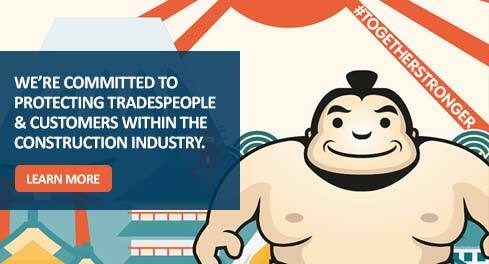 Therefore, joining a reputable association of tradesmen is arguably more important than ever before. Fortunately for traders, joining an association of tradesmen will ensure that they do not fall into the ‘dodgy’ category. However, this is not the only benefit available to those who sign up. Consumers looking to purchase construction services regularly demand evidence of a tradesman’s credentials prior to booking any work. When joining an appropriate association of tradesman, like the CPA, traders are joining a number of highly renowned, elite businesses that have a consistently proven track record. Signing up ensures that your businesses reputation has been validated by a trusted organisation, from which customer confidence in your business will follow. This is especially important considering the recent fears that were outlined above. Associations of tradesmen tend to offer additional services, the likes of which non-members do not receive access to. These include industry leading training, technical support and sales literature, all of which can help give your business that important edge over competitors. Businesses joining an association will be placed within an exclusive directory of members that potential customers can use to seek out their services, increasing the potential business opportunities that are available. After joining an association of tradesmen, a trader will be able to provide an essential protection service to its customers. Joining means that any who require a trader’s services can benefit from Insurance Backed Guarantees and Deposit Protection Schemes. Insurance Backed Guarantees protect consumers in the event of any unforeseen circumstances, whilst Deposit Protection Schemes can insure up to 25% of a customer’s deposit. Providing customers with this important protection will dampen any fears surrounding the purchase of a trader’s services, meaning customers can feel continually assured when hiring businesses that are part of reputable organisations. As a campaigner for installer’s rights, the CPA does what it can to ensure that installers are entitled to their necessary working rights. Becoming a member means that you’ll be backed by an organisation that really cares about its members. Joining a reputable organisation is a fantastic idea for any tradesman, if only to ease public fears regarding ‘rogue builders’. 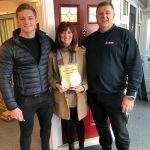 Factor in the additional protection you and your customers will receive only compounds why its paramount as a tradesman to be part of a reputable association. Join the Consumer Protection Association today and ensure that your services will never be turned down again. This entry was posted in Deposit protection, Insurance backed guarantees, Rated tradesmen by Consumer Protection Association. Bookmark the permalink.